Pasadena, Calif. – R.D. 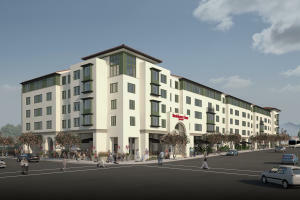 Olson Construction has begun construction on a five-story, 144-room Residence Inn by Marriott extended stay hotel in Pasadena, California, the first hotel to be constructed in Old Town Pasadena in more than 15 years. The Irvine, California-based general contractor was selected by owner Fair Oaks Hotels, LLC to construct the $30.5 million 94,091 square-foot hotel which is slated for completion in fall 2015. R.D. Olson has been an active builder of hospitality properties over the past year, with more than six projects currently under construction in California.